Verge Center for the Arts is pleased to present two concurrent solo shows in its gallery: All is Well in My World by Jennifer Lugris and Brown Body, Body Hair by Chaitra Bangalore, presented at Home and Away, the second iteration of our year-end residency exhibition. 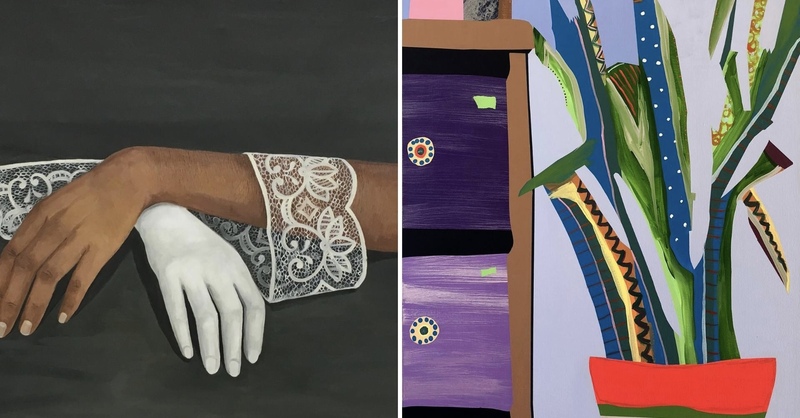 Sacramento based artists Jennifer Lugris and Chaitra Bangalore were chosen to exhibit individual solo shows which will be presented in our main gallery space. The name Home and Away is a tongue in cheek reference to rivaling teams in a sporting match. Verge is turning this concept on its head by bringing two California artists together to spotlight some of the state’s best work and continue the greater dialogue of contemporary art in the region. ​Jennifer Lugris was born in North Bergen, NJ in 1986. She earned her MFA from the University of California, Santa Barbara in 2018. Her paintings have been exhibited and published internationally, and have won several awards. She currently lives in Sacramento, CA with her husband, dogs, cats, and chickens. Chaitra Bangalore is an artist and educator in Sacramento, CA. Her work focuses on South Asian identity, body hair and the different definitions of female beauty. She uses a variety of mediums and methods in her work: oil painting, printmaking, digital illustration, pen and ink, scratchboard, drawing and embroidery.